← When Did You Discover Anime? What is lost and what is gained when you switch media? One correction to make: “Dead Like Me” is made by Showtime, not Showcase. (It’s a great series, BTW, so check it out). 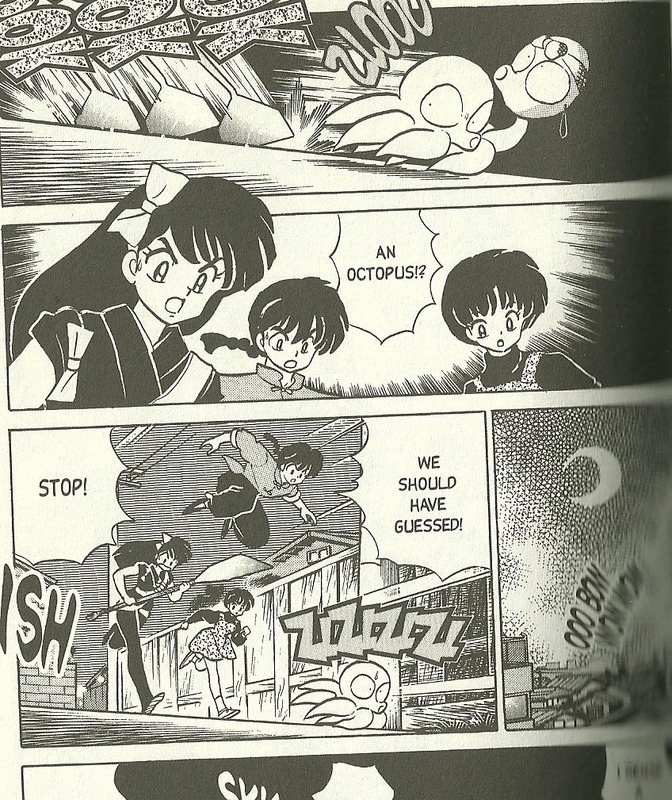 And here’s the page from “Ranma 1/2” I was talking about. Hopefully my posting this here isn’t a copyright problem, seeing as I’m doing it for educational purposes. Posted on April 22, 2013 by Tamara	• This entry was posted in Adaptation and tagged adaptation. Bookmark the permalink.